Submitted photo Chelsey Gronewald, a speech-language pathologist, gives a presentation about the normal and abnormal signs of memory loss as people age, during a Lunch and Learn at Edgewood Assisted Living in Minot. Edgewood Healthcare, formerly Edgewood Vista, celebrates 25 years serving Minot and the surrounding areas. Since 1993, Edgewood has been giving seniors in the area more options and have continuously worked to expand to meet the needs of the seniors here. 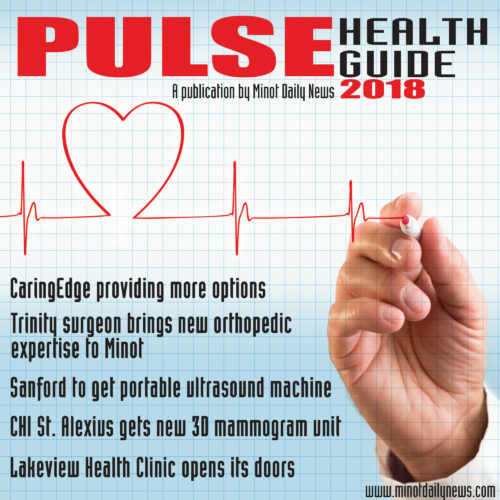 Now, Edgewood Healthcare introduces CaringEdge to Minot. CaringEdge offers outpatient therapy, home health and hospice. It is working to bridge the gaps in healthcare that exist for seniors in North Dakota. “Once upon a time, Edgewood was established as a means for senior housing with a social living aspect,” CaringEdge Regional Vice President Brendan Weidler said. For the first 23 years, Weidler explained Edgewood’s focus was to build a small senior housing company. Now spanning seven states and 60 communities across the United States, Edgewood has remained diligent in looking for new markets to move into to better serve their seniors. Since 1993, Edgewood has added Memory Care and Enhanced Care Units in Minot. In 2010 came the Edgewood junction that includes a movie theater, fitness center, spa, outdoor patio, convenience store and the Fireside Bistro, a restaurant that is also open to the public. Now, Edgewood is shifting its primary focus and addressing senior living with a new approach. “They’ve really shifted their focus in the last few years from just having a social living senior housing to ‘What can Edgewood do for the people living in our communities to make their lives better? '” Weidler said. Now, Edgewood is focusing on a healthcare centric model to better provide services to seniors in the community with their new CaringEdge Clinic. The first to be added was Home Health. Home Health also helps to keep seniors active in their own living environments. One of the overwhelming responses of residents is that at some point, they have to move out. Home Health allows Edgewood to assist even those outside of the Edgewood community, or those who have moved out but would like to remain under care. The next area Edgewood moved into was hospice, which Weidler said is severely under-utilized in the state of North Dakota. 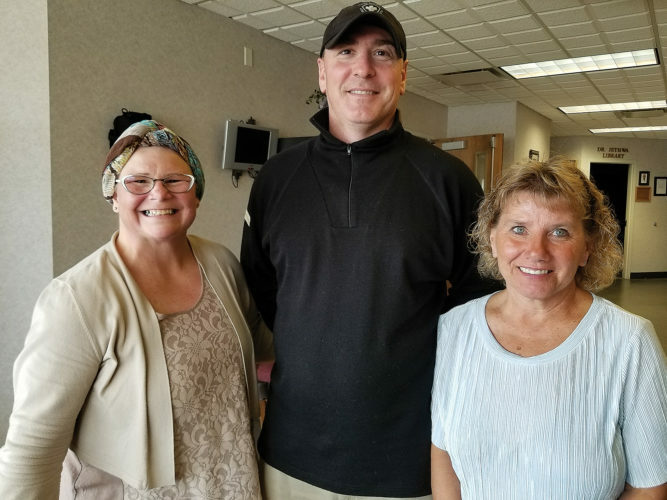 “Edgewood decided that having a hospice company to serve the people within the Edgewood community as well as the greater community of Minot would be really beneficial for the residents that live within Edgewood,” Weidler said. In going through the process of becoming Medicare-certified for Home Health and Hospice, Edgewood had overlooked the fact that some people may not qualify for Home Health if they need therapies, which led to its Outpatient Therapy services. The outpatient therapy clinic opened in December of 2017. The clinic offers speech therapy, occupational therapy and physical therapy for anyone in the community with a focus on the residents in Edgewood. Since adding the clinic, Edgewood in Minot has seen a strong uptick in residents that live in the community using the exercise room because there are people around to help every single day. For Home Health, Edgewood brought its first patients on in April of 2018, had its Medicare survey in July and are a full-fledged up and running home health business as of August. Its hospice care started in September of this year. “We now have all three services on board with us and we look to expand into other Edgewood locations as we see a need for them,” Weidler said. 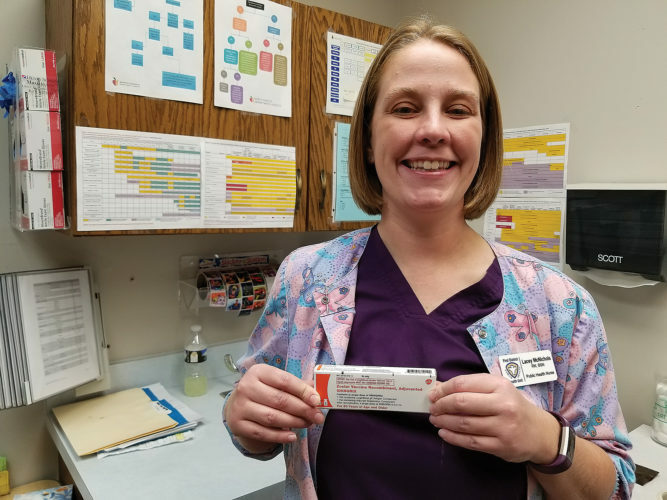 Edgewood has remained diligent in working to provide the best possible care to its residents and the community of Minot and the surrounding areas. The Home Health initiative includes skilled nursing, nursing assistance, therapy services (physical, occupational and speech therapy), palliative care and hospice services. 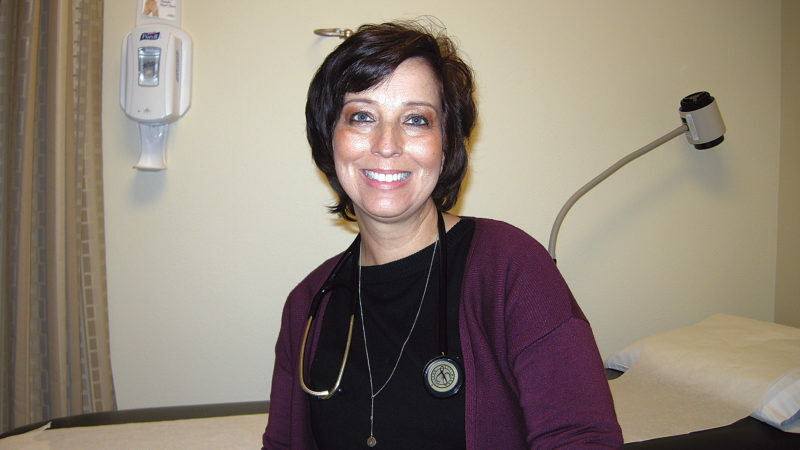 Edgewood is hoping to add primary care providers to its Home Health program as well. 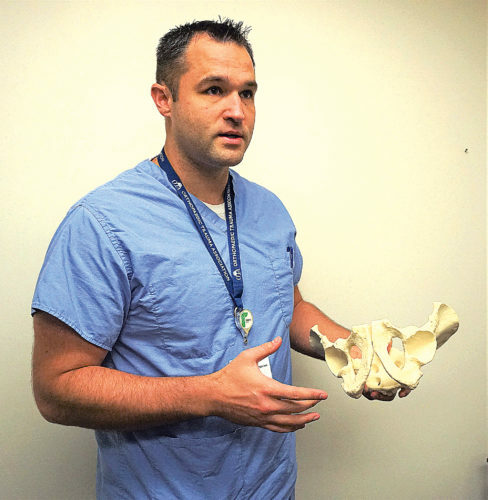 It is something that was attempted in the past, but now with its CaringEdge Clinic, it could become a stable reality for the Edgewood and greater Minot community. 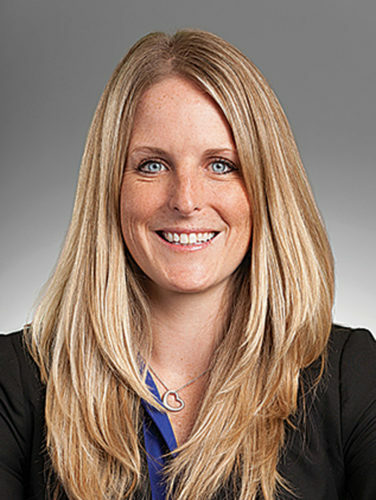 “What a great opportunity for a provider to come to the building to see patients, in acute needs, because sometimes it can take weeks to get into your provider if you have an ailment or maybe just some questions about your healthcare,” Weidler explained. Before, Edgewood had tried to use primary care providers from different organizations, and the few days or short periods of time they were at Edgewood didn’t really seem worth it. At the time, Edgewood wasn’t big on driving that business for them. Now, if Edgewood can guarantee a provider will be in the building a couple days a week, it can steadily provide that as an option to the residents at Edgewood. 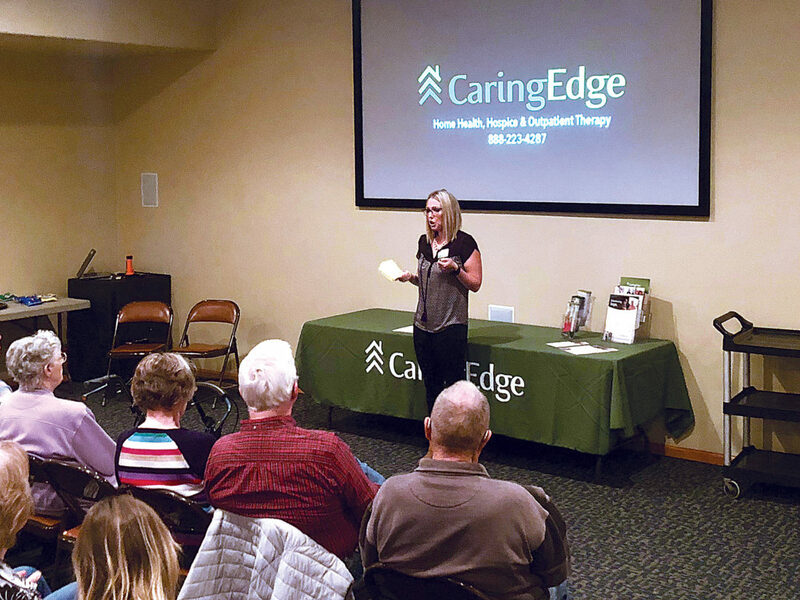 To introduce the new CaringEdge Clinic and to educate seniors in the area about their health, Edgewood and CaringEdge have been hosting Lunch and Learns, which have seen a great turn out according to Weidler. With questions regarding CaringEdge, visit the website at caringedge.com or call at (888) 223-4287. Edgewood Assisted Living and CaringEdge are located at 800 16th Avenue SE.